Currently, Canon is the only camera manufacturer rumored to be working on a full-frame 100MP sensor for its EOS R mirrorless camera. However, if a leaked product information document (first reported by AndroidLad on the EOSHD forum) holds true, then Sony could well be the first to release a 35mm full-frame 100MP sensor with 6K video recording capabilities. Has the hi-res future arrived? According to the document, still images from the sensor would have a resolution of 12288 x 8192 (that’s a 12K equivalent in video), with a high-speed digital readout of 16-bit photos. The sensor would also offer 6K video recording in 12-bit using a pixel binning mode. It seems that Sony will make this sensor available to other manufacturers for use in consumer cameras. 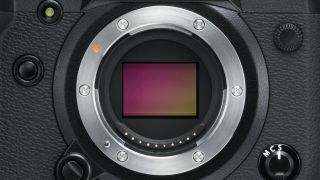 To achieve the high-speed 16-bit readout, Sony seems to be using several analog-to-digital (ADC or A/D) converters, which could ensure that the sensor has better performance than the current Sony Alpha A7 III in terms of dynamic range and sensitivity. RAW files from a camera using this 100MP sensor would be large, meaning a camera’s buffer and the speed of the card used would matter. However, with SD cards and microSD cards getting faster and now available in 1TB flavours, we’re hoping short-term storage won’t be an issue in the future, although it could prove expensive. That said, Nikon has already paved the way for the use of XQD cards in its high-end cameras, like the Nikon D850 and the Nikon Z series. But there’s currently limited support for PCI Express data transfer and XQD cards remain a pricey option with limited manufacturers. If consumer cameras go the hi-res way, though, we could see more competition that leads to a price drop.